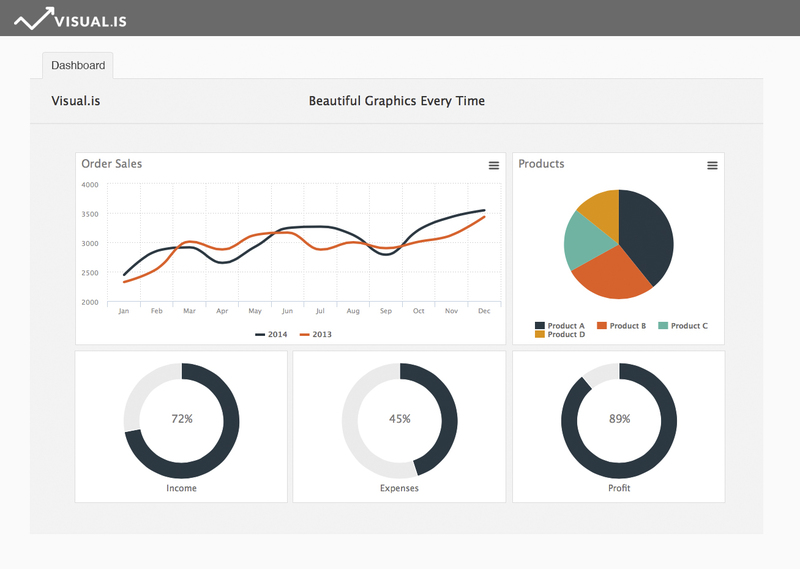 Use Visual.is to create beautiful and dynamic reports, charts and dashboards for all your business needs. Two free visualizations. Upgrade plan for just $8 per month or $69 per year. Select from a wide variety of visualization options. Share your results with your client, boss or team. Charts update automatically. No programming or technical expertise needed – our user-friendly system guides you through step by step with no installation or training required. 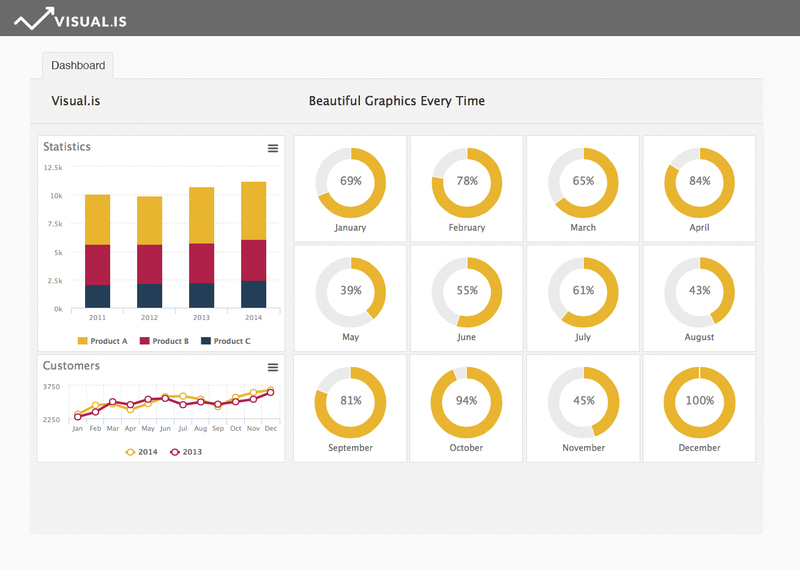 You don’t need to be a graphic designer to make great graphics – we’ve already designed each data visualization tool using professional design practices and harmonized color palettes. You can use Visual.is to create professional-looking results yourself, without hiring an expert to do it for you. Get started for free, and then share with a single click. 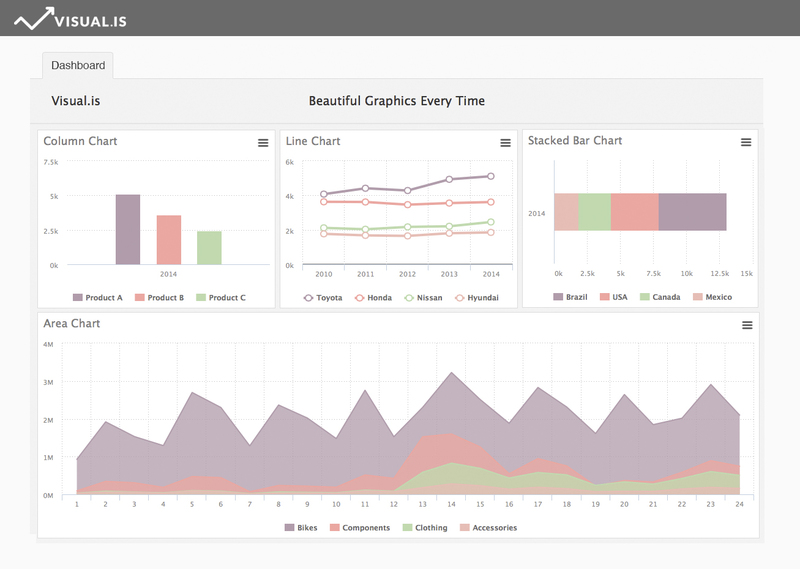 Visual.is goes beyond simply creating beautiful data visualizations. You can also easily analyze your results and monitor progress. 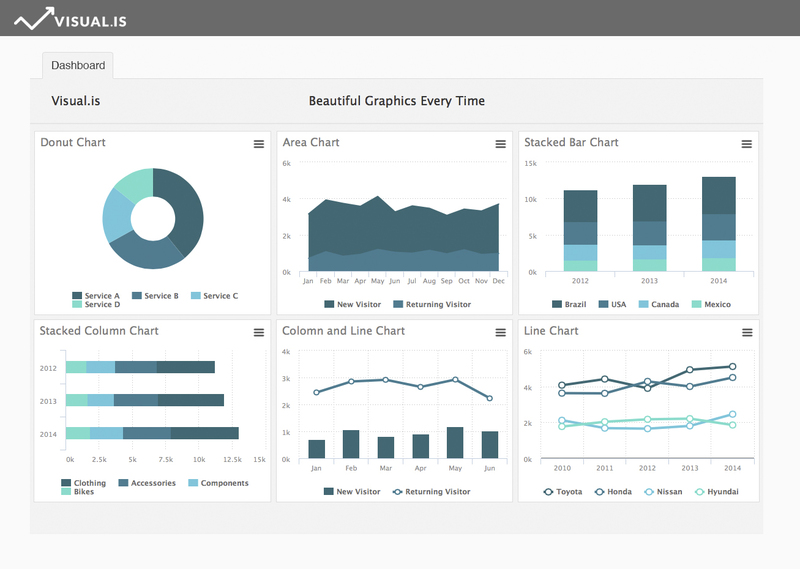 Visual.is was founded on the belief that by maximizing the visual impact of your data, you can transform your business. We are experienced designers and programmers who believe in the value of beautiful information design. Our goal is to replace the scourge of ugly spreadsheet charts in reports, infographics, and presentations. We welcome you to join us on our mission of bringing beauty to the business landscape! In just 3 easy steps and a few minutes, you can create your first professional-quality visualization.